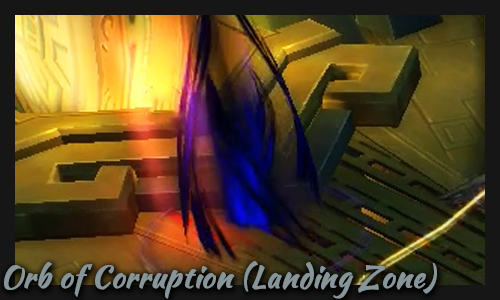 Welcome to my Mythic Guide of Zek’voz in the Uldir raid. Here I’ll do a breakdown of both general strategies and how I heal this encounter. Click on the headlines to expand and subtract the texts! I hope you can find a few tips and tricks to help you in your Mythic endeavors! Titan Discs remain powered on indefinitely. Titan Spark strikes several random targets periodically. 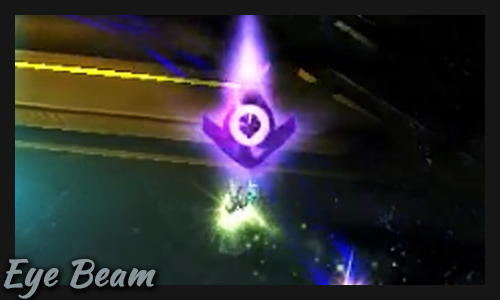 You should always have Essence Font ready when Titan Spark has done a few hits on the raid. 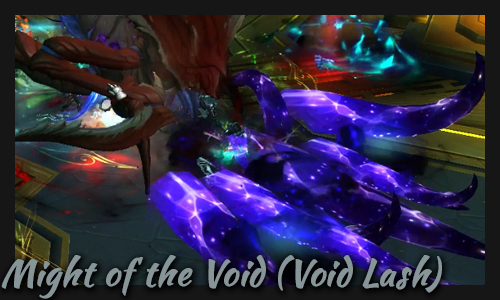 Might of the Void sequence: Void Lash, Shatter, Void Lash. Tanks need to swap in the sequence to avoid getting two stacks of Void lash. At NORMAL the stacks reduce healing taken by 25% per stack, at HEROIC and above it’s 50% reduced healing. Non-tanks should never stand in front of the boss when Might of the Void sequence is about to hit off. 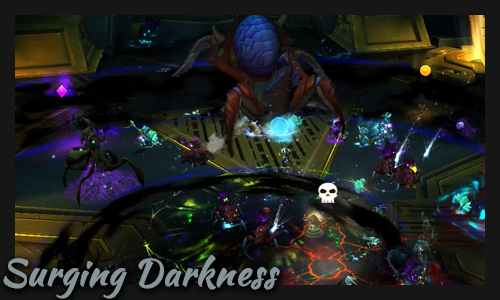 Surging Darkness causes rings of darkness to erupt (with the boss at its center). The rings have three tiers, with one ring always clear from darkness. Stand close-ish to the boss to make it easy to run to the ring clear of darkness. Save Revival for when the last ring has hit. 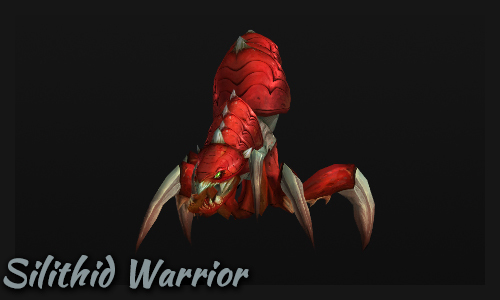 Silithid Warriors will spawn and fixate on random players. Kite the warrior to the boss so DPS can cleave them down. HEROIC: Their Jagged Mandible cast will also slow the player. Spread out to avoid chaining the Eye Beam. 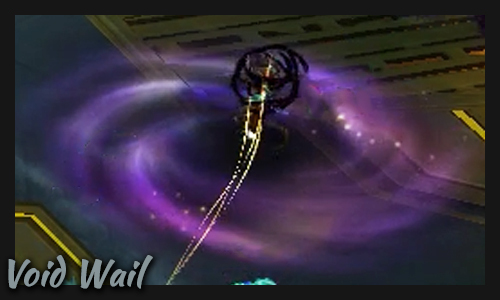 Nerubian Voidweaver will spawn, casting Void Bolt which must be interrupted. HEROIC: Voidweavers cannot be moved due to their Shadowbind. This will probably mean that you’ll need to set up a interrupt rotation on each mob. 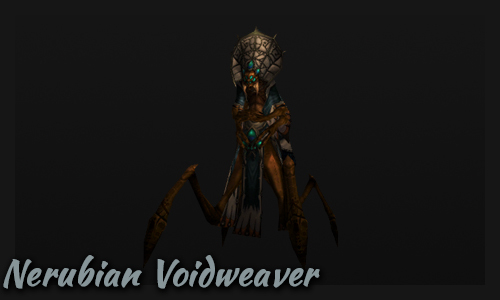 MYTHIC: Voidweavers will increase their power every 6 sec due to Void Calling. At 10 stacks, they gain Void Trance and is immune to crowd control effects. Run out with Roiling Deceit and place it somewhere far off from the raid. Don’t touch the Ominous Cloud that spawns (they drift around a bit)! Touching an Ominous Cloud will spawn a Guardian of Yogg-Saron add which needs to be tanked. They will cast Shadow Nova on 100 energy or when killed, causing massive damage to the whole raid. Spawning these adds is a raid wipe alert, but it can be survivable if there’s only one and you have a raid cooldown for it. An Orb of Corruption will fall from the sky, which must be intercepted by a player. Intercepting the orb from exploding on the ground by standing in the swirl will apply the Corruptor’s Pact debuff, and the orb will launch into the air again, up and in the direction the soaking player is facing. Then, it will start to descend again. Players should soak the orbs, with DPS first in line. The 30-sec debuff will boost health, healing and damage BUT when the debuff expires, the player will be mind controlled by Will of the Corruptor. Players mind controlled by Will of the Corruptor will need to be damaged enough to break the mind control. The affected players will try to fear their allies with Psionic Blast, which must be interrupted. HEROIC: The mind control doesn’t break unless the player is killed. When the player becomes mind controlled, they release Void Wail which fears all players within 8yds (purple swirl). WARNING! : Fleeing players might hit the remaining Ominous Clouds and spawn Guardian of Yogg-Saron adds. Timers can vary with a few seconds, but the overlaps happen in the same way more or less. In MYTHIC mode, what used to be HEROIC phase 1 and 2 have been merged together. You will deal with several mechanics over the entire fight, often overlapping. The mechanics are on strict timers, so learn them by heart to master this encounter! Check timers above. Overlap 1: The first overlap is rather easy. The players with Roiling Deceit has time to run out after Surging Darkness, except maybe the first player who gets it. Keep an eye on that player! Overlap 2: At the beginning of Surging Darkness, players will just about have dropped their Roiling Deceit debuffs somewhere far off and are running back in. Once Surging Darkness starts, you must spread out to avoid Eye Beam hitting several players! Overlap 3: The Silithid Warriors should all die just as Surging Darkness starts, or shortly after (keep them off the ranged players with Ring of Peace!). Nerubian Voidweavers should be CCed during the entire Darkness phase. Afterwards, handle Roiling Deceit and Eye Beam like normal while the raid kills the Voidweavers. Overlap 4: The fourth overlap is the most dangerous one for the Roiling Deceit players. The three players have to drop their clouds during Surging Darkness, and preferably far off to keep space clear for the second phase. Players who need help should call out for healer assistance, so be ready with Life Cocoon! Use Mana Tea whenever Roiling Deceit is going off. All three players might need your Enveloping Mists. Always cast Renewing Mist on the affected players as well, so they can benefit from Vivify. Essence Font will account for the bulk of your healing (there’s always AoE damage rolling out due to Surging Darkness and Titan Spark). However, the majority of your mana will likely be spent on keeping up Roiling Deceit targets and the tanks. Keep an eye on your mana pool! Be effecient with it, you’ll likely need quite a lot of mana saved for the second phase. Surging Darkness, Eye Beam, Roiling Deceit and Titan Spark remain. 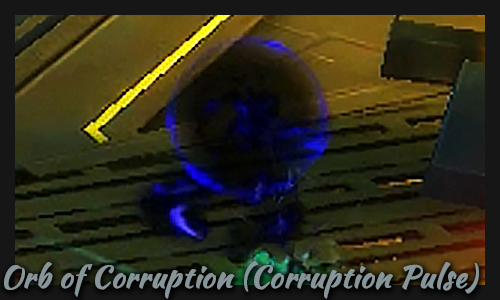 The Orb of Corruption addition means that you’ll have limited time before too many of your DPS are dead. A.k.a. burn phase! Healing-wise, this phase is just like the first phase until the raid make a mistake. 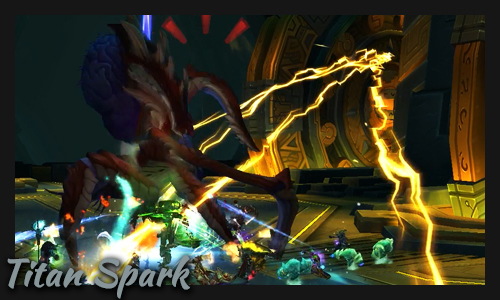 For example, players miss to catch the orb and it pulses AoE damage on the entire raid. 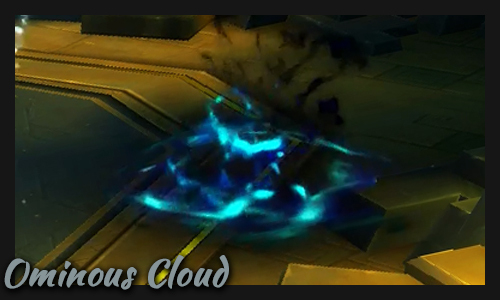 Or the raid fails to interrupt the mind controlled targets, letting a fear pass through and the feared person runs into a cloud and spawns an add. There are several ways to make mistakes, and they often snowball quite hard. Basically, bring your A-game on mechanics and triage heal to the best of your abilities!